One of my most vivid and indelible memories from childhood was seeing Mr. Colin Hay on Men at Work’s “Who Can It Be Now?” music video, an aural and visual spectacle that ranks up in the pantheon of top three “paranoia/anxiety” videos of the 1980’s (alongside Rockwell’s “Somebody’s Watching Me” and Split Enz’s “I Got You.”). His eyes held a certain, feisty creative energy that, luckily, has only magnified in intensity through the years. 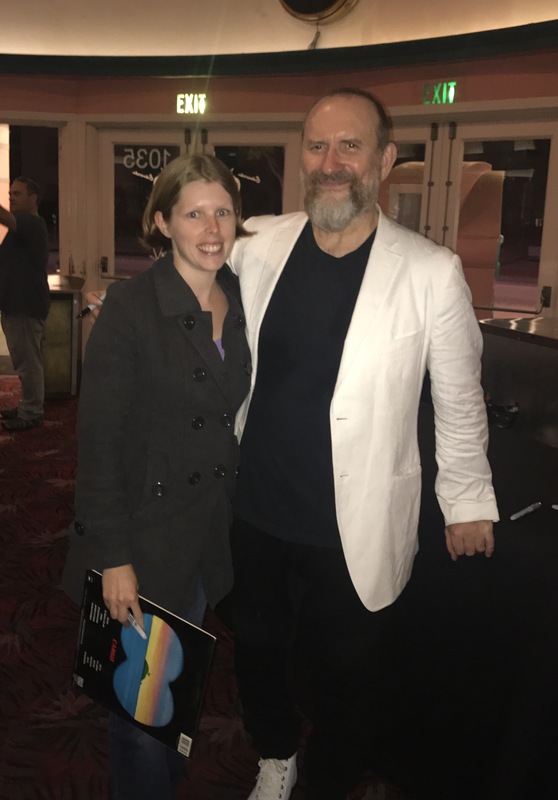 I had my first personal interaction with this musical legend a few years ago when I had the opportunity to interview him before his concert at the Belly Up Tavern in San Diego, California (see interview here), an experience I’ll never forget. 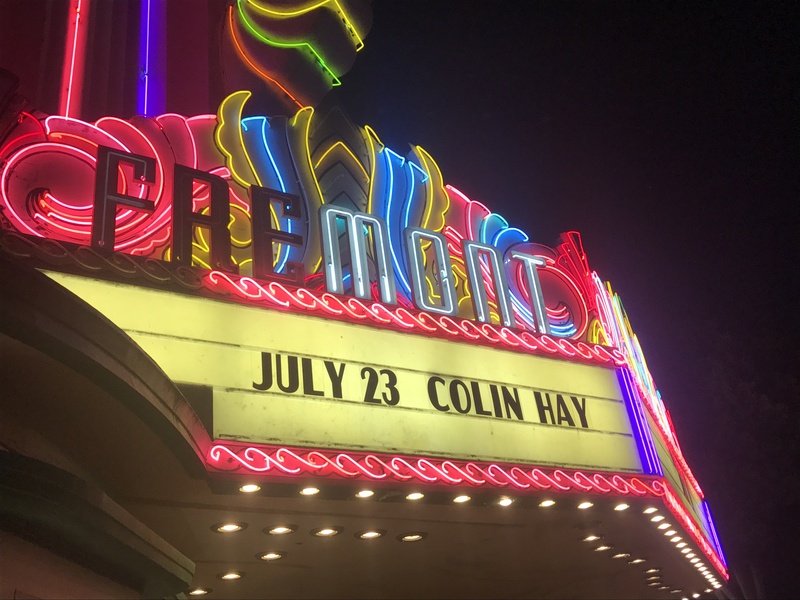 On Sunday July 23rd, I had the pleasure of seeing Colin perform in my hometown, San Luis Obispo, CA at the historic Fremont Theatre. 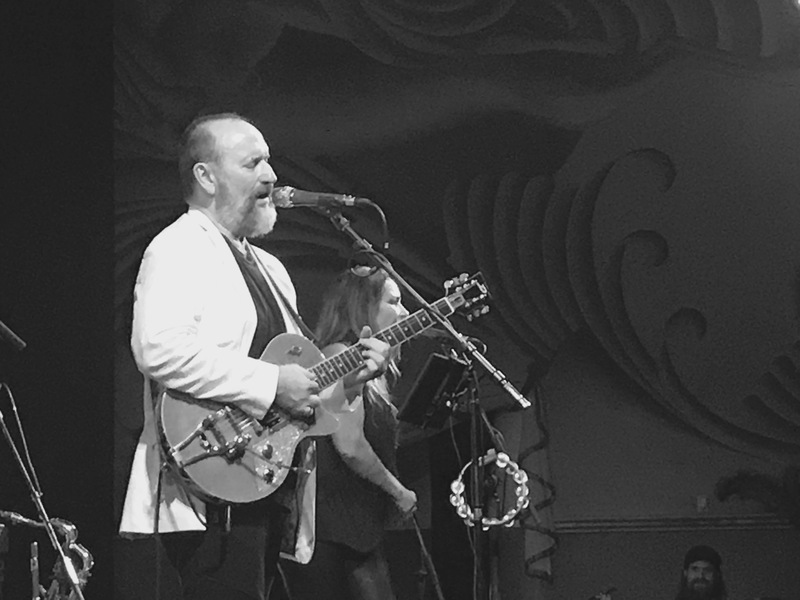 Despite concurrent stiff competition from network television (in the form of Game of Thrones and Showtime’s Twin Peaks), the more enlightened “who’s who” of the local musical cognoscenti turned out to see this legend. There were no dragons, backwards speaking dwarves, or special effects on stage. 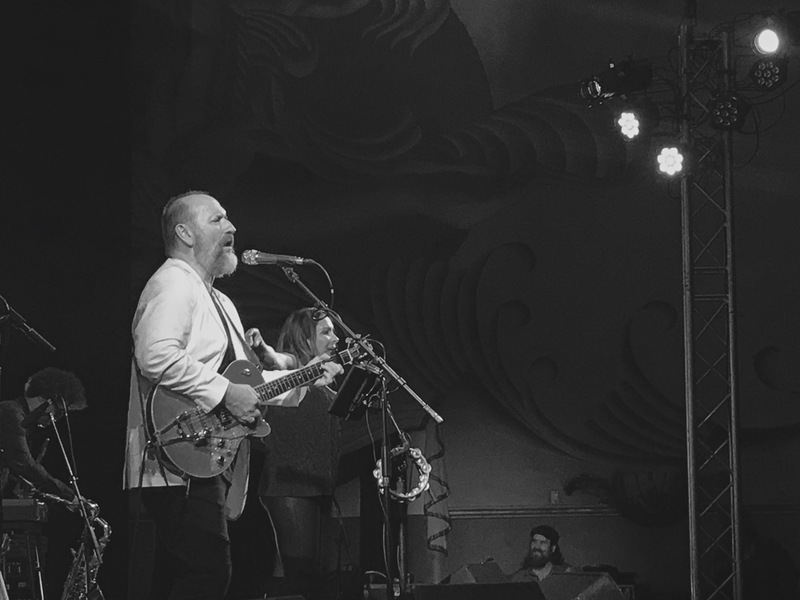 Only a man with raw talent, a storyteller whose whimsical recollections and raw talent eliciting big smiles in the audience more than anything that could possibly emanate from an LCD screen. 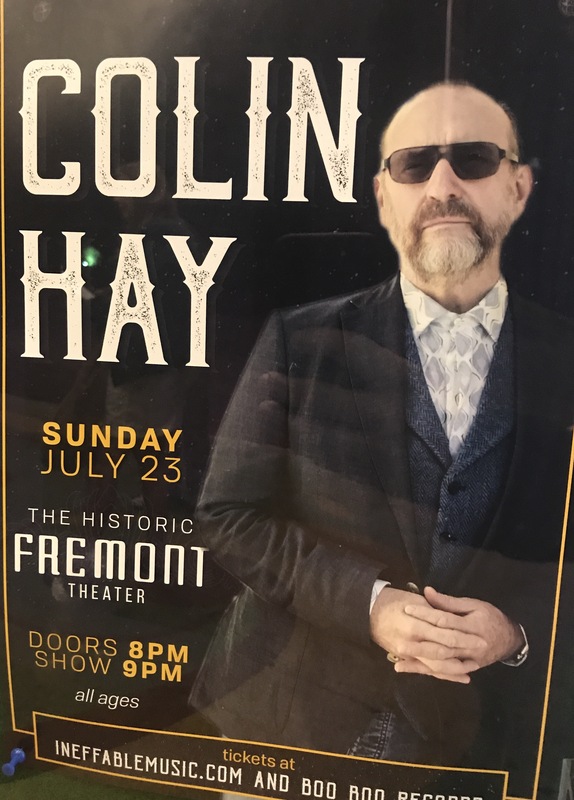 Colin Hay is not someone who can be “DVR’ed” or timeshifted. He must be seen live to fully appreciate the hi-definition brilliance and dynamic range of his skills. 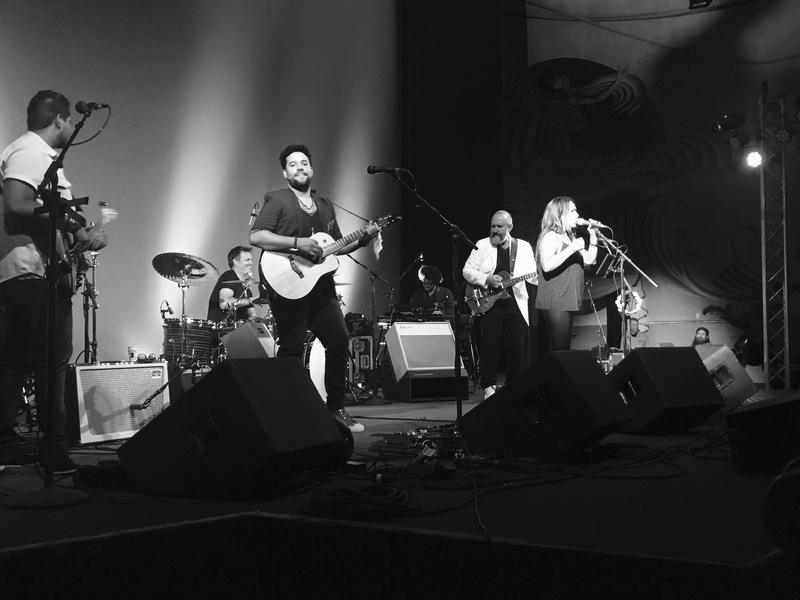 Colin performed alongside his Grammy-award winning and vibrant wife, Cecilia Noel and talented full-fledged band (including solo artist San Miguel, whose CD “Un Poquito De Amor” was just released). 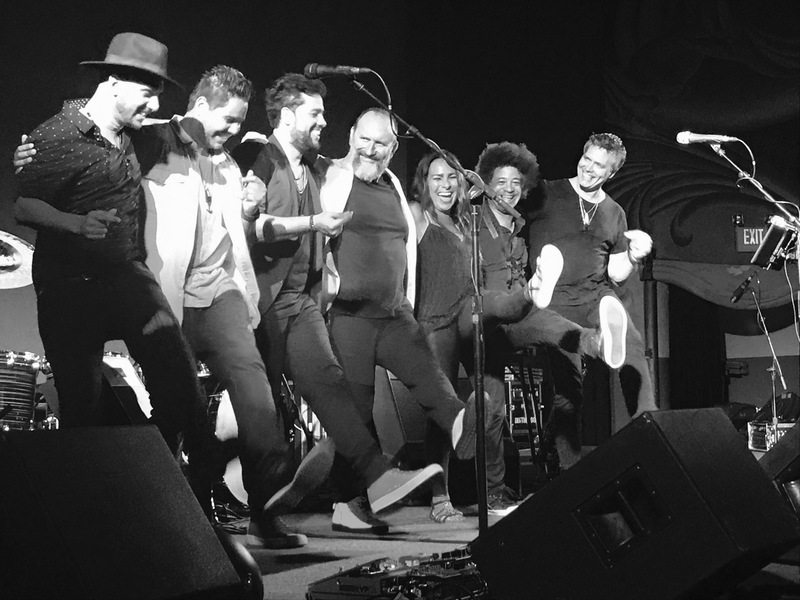 The Latin-infused set of evocative, soulful Cuban-inspired tunes brought the initially seated audience literally to their feet, with a syncopated, soulful beat that compelled the audience to stand at full attention. 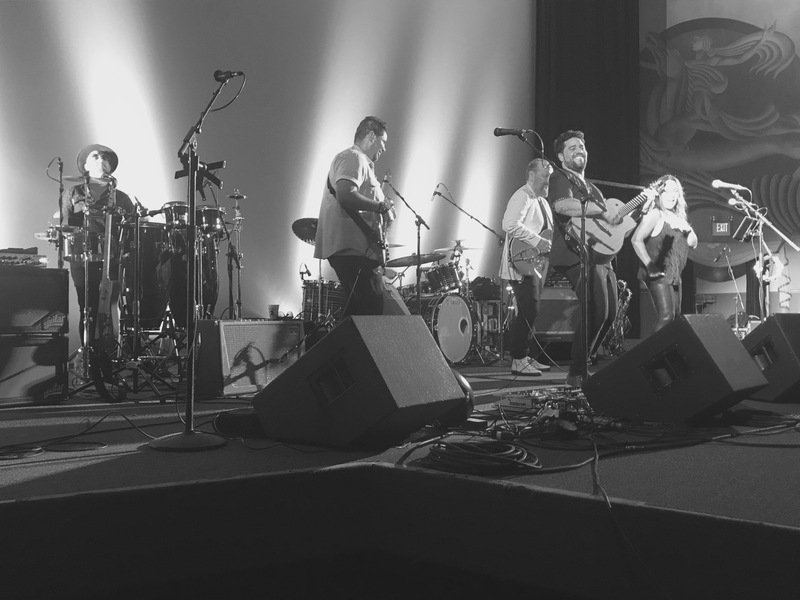 Present was Colin’s trademark ability to give context to the old and new songs in his repertoire, each having its own unique story. Highlights of the set included his new songs “Come Tumblin’ Down,” “Secret Love,” and “A Thousand Million Reasons” (from his album “Fierce Mercy” released earlier this year) as well as classics from the Men at Work catalog, including my personal favorite “Overkill.” Cecilia Noel’s cover of AC/DC’s “You Shook Me All Night Long” (off of her excellent album of cover songs entitled “Havana Rocks”) was another crowd favorite of the night. 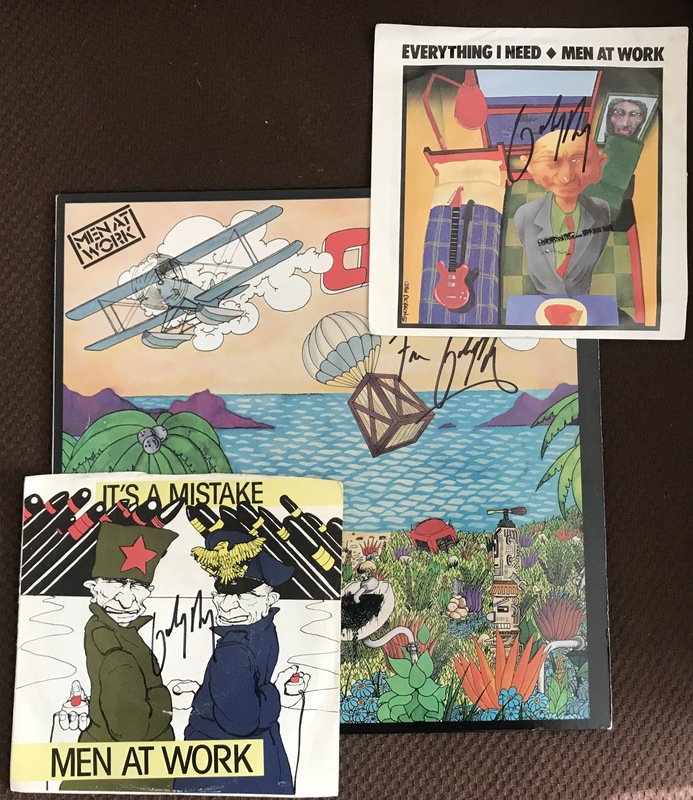 After the show Colin graciously met with adoring fans (including our very own Christina Bearce, who got a couple of records autographed). Colin is playing a plethora of shows across the continental U.S. from now through November, so fans in the United States luckily don’t need to worry about traveling “Down Under” to see this legend live. 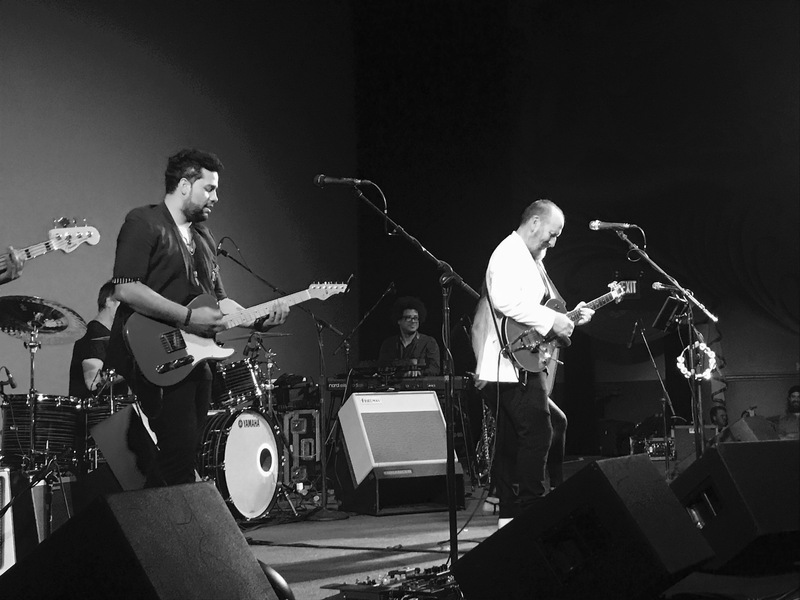 Check out colinhay.com for more tour info. Also, be sure to check out San Miguel’s website at sanmiguelofficial.com to pick up his new album!